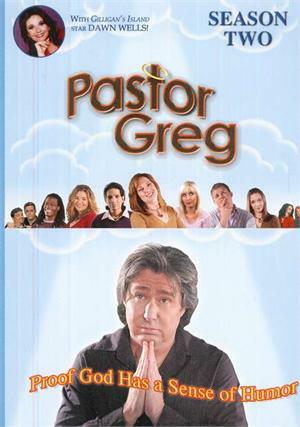 An unexpected wedding, frenzied church upheaval and a famous castaway, characterize this season of Pastor Greg, the world's first Christian sitcom. Greg's mom played by Gilligan's Island star Dawn Wells, will lead the wedding planning insanity for Greg and his new leading lady, Missy... Let the games begin! We don't stop there-Greg and Missy get assigned to a new church with a new staff and even more calamity, but not before the good folks at Merlin Church deliver thrills and spills with a lot of love along the way. Over 5 hours of comedy.